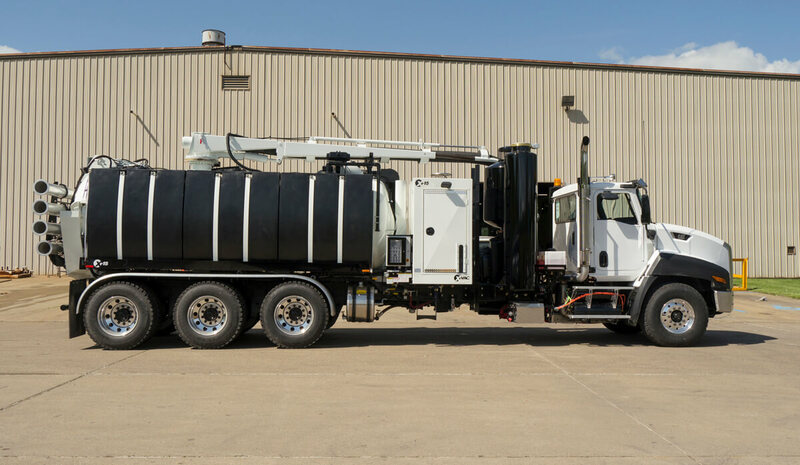 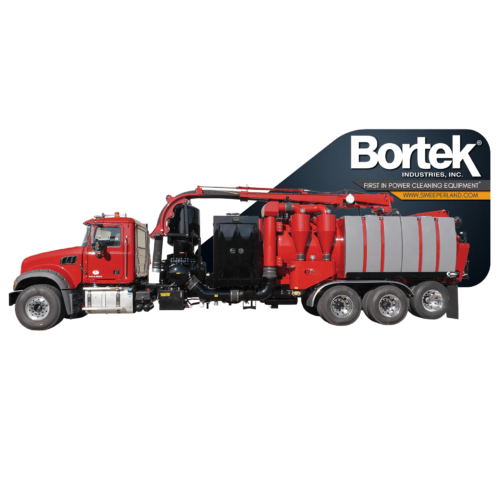 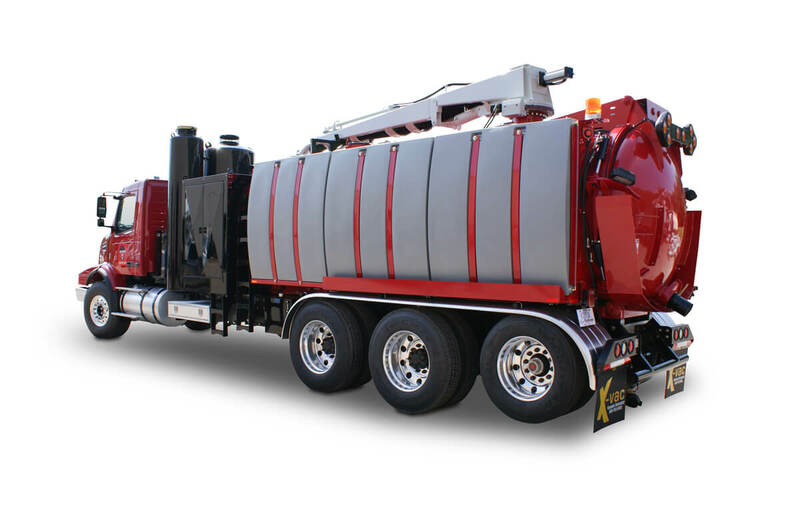 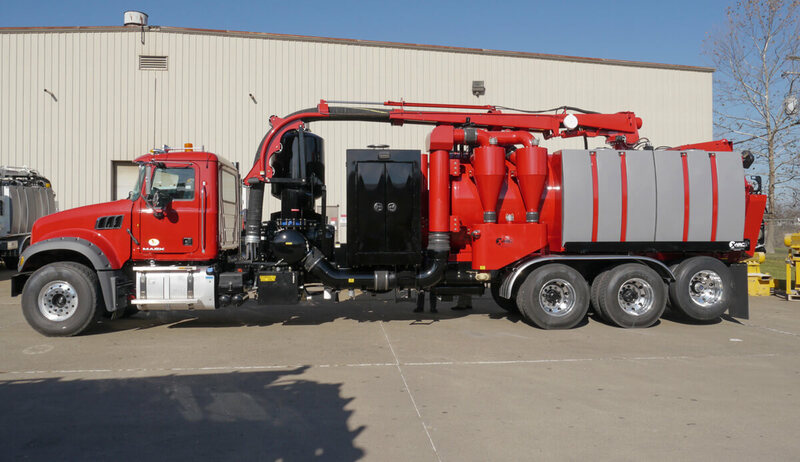 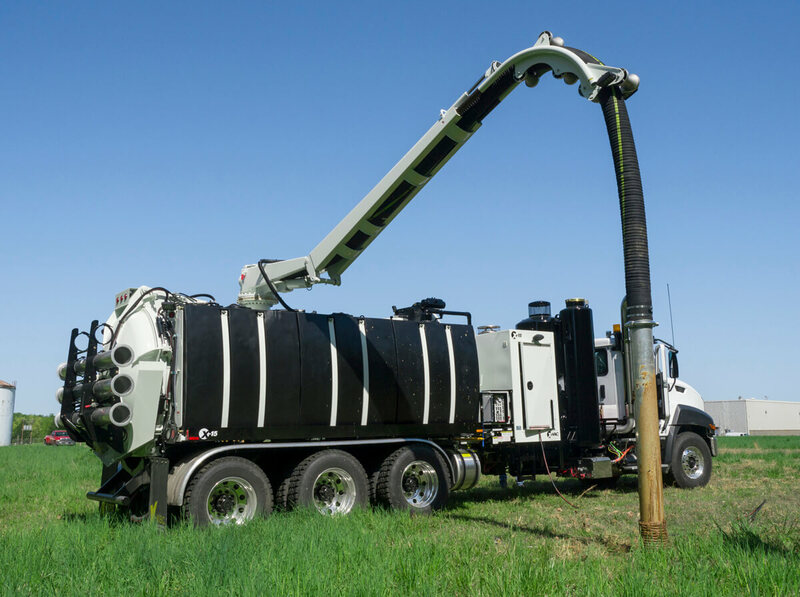 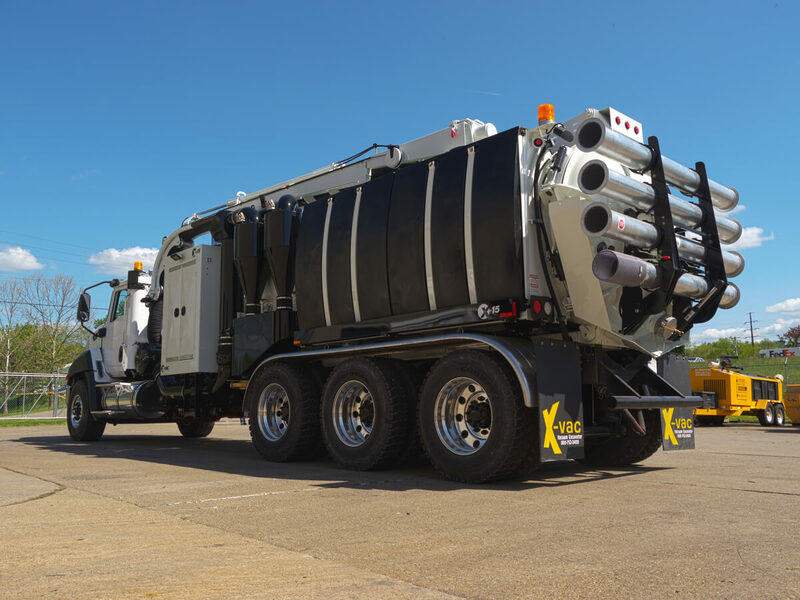 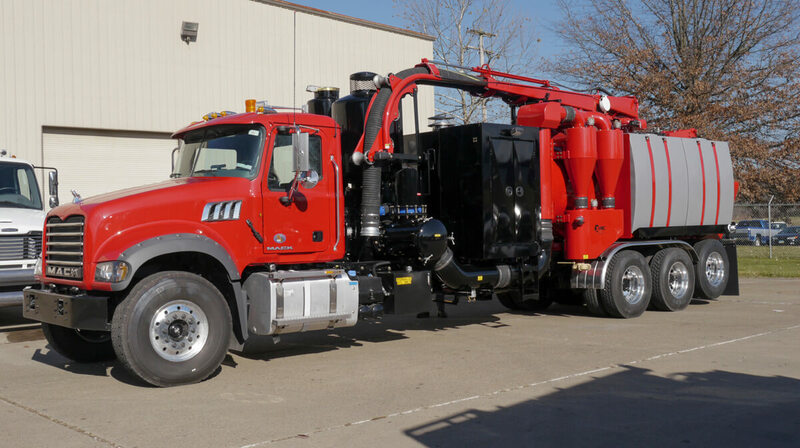 X-Vac X-15 Hydro Extractor Truck - Bortek Industries, Inc.
Like the X-12 the X-15 uses a state-of-the-art Triplex Water Pump and vacuum system for potholing, day-lighting, utility location, and other applications. 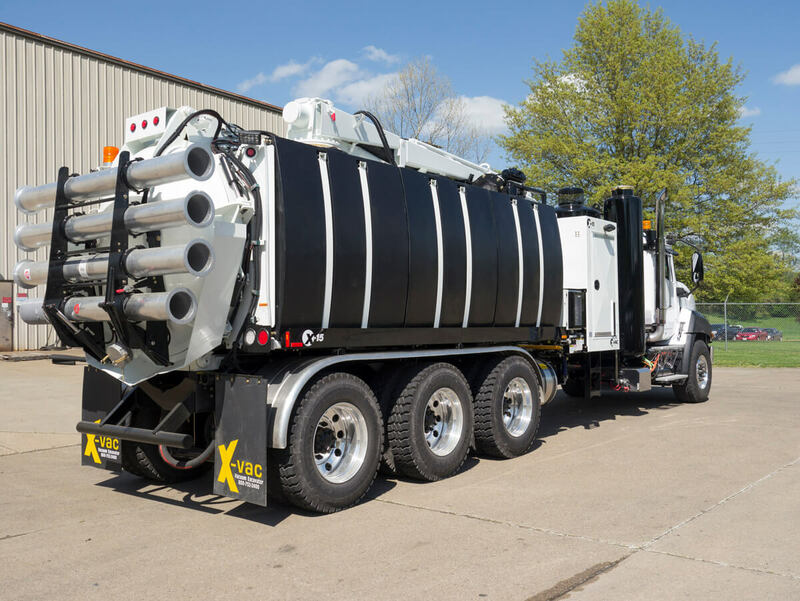 The X-15 offers all the same benefits as the X-12 but with a larger debris tank (15 cubic yards) and increased water capacity (1425 gallons total). 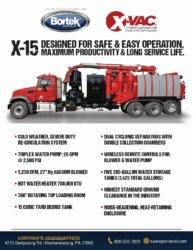 The X-15 offers minimal breakdowns and less downtime due to high quality construction and components.